The Worldwatch Institute has released its latest Vital Signs Online report, which highlights progress made in the solar energy field. Solar power has been seeing strong growth and adoption throughout the world for some time. Much of this growth has been powered by the need for cleaner energy, but also because of the potential economic benefits of solar power systems. In 2013, solar energy installations and power generation reached new highs. According to the report, solar installations reached the 39 gigawatt mark worldwide in 2013. Solar power accounted for one-third of all clean energy capacity in the world during that year. Photovoltaic installations were nearly as common as hydropower systems for the first time in history. The report notes that concentrated solar power, in particular, has been showing signs of impressive growth, with some 19 countries around the world making use of this form of solar energy. 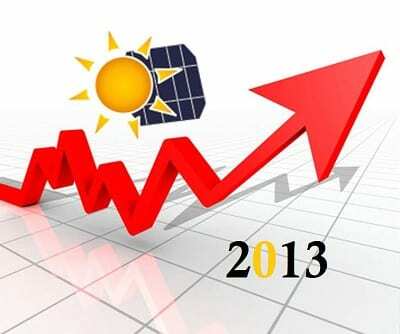 The consumption of the energy produced by solar power systems grew by 30% n 2013. Some 124.8 terawatt-hours of electrical power was put to use throughout the world, with Europe accounting for the majority of this energy consumption. Both Europe and Asia experienced the most significant growth in solar power, with various countries turning to this form of renewable energy in order to take advantage of its economic and environmental benefits. While solar energy installations increased, investments in solar power dropped by 20% in 2013. This is largely due to the rapidly falling costs associated with solar power. Photovoltaic modules are becoming less expensive than they had been in the past, making them more accessible to a wider range of consumers and businesses. As costs go down, potential return on investment also decreases. As such, investors have begun to show caution with their support of solar power and other forms of renewable energy.